I am a part of an amazing FREE online event that is about to start. Stop the “deprivation-binge eating-guilt” cycle. Create a simple food and fitness plan that will help you create the healthy body you deserve! Eat with joy, “consciousness” and intention. The way nature intended it to be. 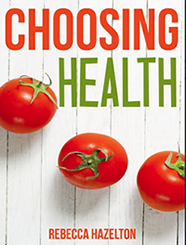 Make your MIND your greatest asset to creating optimal health and design a strategy that is unique to YOU. Feel amazing and energized in your body so you can find your path and live your PURPOSE! If you are ready to jump in and get access NOW, go ahead and click here. We both know the media and the internet are FULL of quick fix schemes, empty promises and contradictory health and diet information that JUST DON’T DELIVER THE GOODS! Let’s put an end to the confusion right now. My friend and colleague, Dr. Kellee Rutley DC has created a single resource for you, where you can receive all of the tools YOU need to break free from diet prison, release the weight and take your body and your LIFE back. If it seems like everyone else already has it all except you trust me, you are NOT ALONE! Dr. Kellee has brought together, over 21 Top Level experts, including me! These experts are the “real deal”! Kellee has interviewed highly credible and well respected Doctors, Naturopaths, Zen Masters, Holistic Psychologists, Holistic Chefs, well known Published Authors and True Fitness Experts with decades of experience, all sharing this “virtual podium” to give YOU the answers you have been looking for. Being lean, “well” and happy is your natural state! Dr. Kellee and I can relate to what you are going through. Many of the experts on this summit have TRUE REAL LIFE stories to share with you about how they overcame the same obstacles you are facing right now. If you want to become EMPOWERED with your own health and happiness; shed extra pounds, and truly feel WELL and have real VITALITY, go ahead and click the link here. Decide you are WORTH it, and follow the few steps to get on the right path. Dr. Kellee invited me to speak on this FREE online event, and I am so appreciative and extremely excited to share the virtual stage with all my fellow experts. This event starts November 1st, so click here to get access now! P.S. Share this transformative message with friends! Simply send them this link (http://femalefatlosssummit.com/Rebecca) so they can enjoy free access to the summit too! 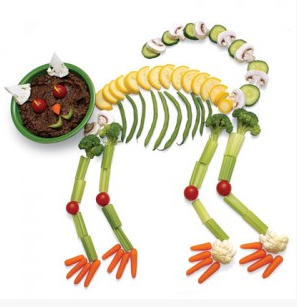 Check out these great Halloween recipes! 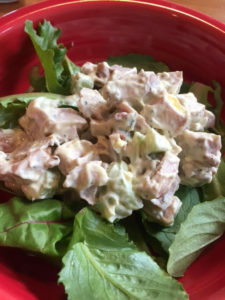 Here’s what happened when my daughter and I decided to use up the leftover chicken thighs: we came up with an AWESOME chicken salad recipe! We enjoyed it for dinner and she even asked to bring it for lunch the next day (and then the lunch lady at her school wanted the recipe too!). You know how much I love quick, easy AND healthy recipes, so I am delighted to share this with you. 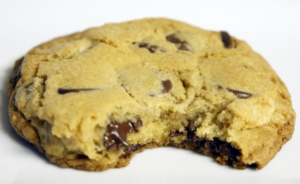 Before digging out your old cookie recipe that’s full of sugar and flour that’ll send your blood sugar through the roof (and make you more likely to catch whatever nasty cold is going around), consider this: A completely healthy cookie recipe that TASTES just as delicious….maybe even more delicious. Send your excuses packing (i.e. “I don’t make cookies that often so I’ll just eat the “good ones”, “Those healthy cookie recipes aren’t as good”) and kindly stop and listen. 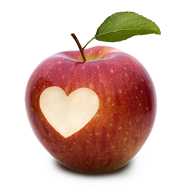 You can enjoy delicious tasty treats that are also good for you. These cookies were so super delicious–and even better that they don’t have an immunosuppressant effect OR send your blood sugar on a roller coaster ride to Lethargy-ville like treats with sugar and flour. Makes about 24 small cookies. Enjoy!